You probably want the best golf clubs available when you start your game, but if you are new to the hobby, then you need to ease into your game. You may not be able to handle the best of the best, and you’ll want to start off easy and work your way up from there. We’re going to show you what to look for when you set out to buy golf clubs as well as what you should be avoiding. We also have some reviews for you to get you started as you try to figure out what golf club will be right for you. Now that you know what to look for and what to avoid, it’s time to show you a few of our recommended products. These are the best products on the market out there, fit for a wide range of budgets. We’ve given you some variety so that hopefully you can find a golf club that works well for you. You can buy golf clubs separately or get a whole set like Callaway is selling here. The advantage of having the whole set is that you get a club for every kind of shot and environment. Of course, that won’t be necessary if you already have a few clubs in your possession. This will set you back a few hundred dollars, but it is one of the most recommended golf club sets out there. There are certainly cheaper ones, but each of these clubs is specially designed to help you pull off professional shots. In this set, you get drivers, wedges, putters and Fairwood options, so you are completely covered for the typical golf course. 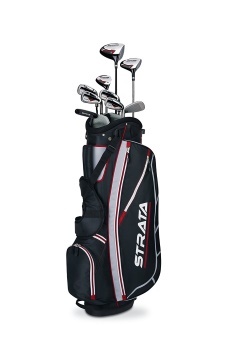 The stand bag is included, and hybrid clubs are part of the package deal as well. The one downside to this particular set of clubs is the durability. It is known to warp and deform after repeated usage, and it may not stand up to wear and tear as well as other golf clubs. All the clubs you need in one package. Excellent at getting distance out of the ball. 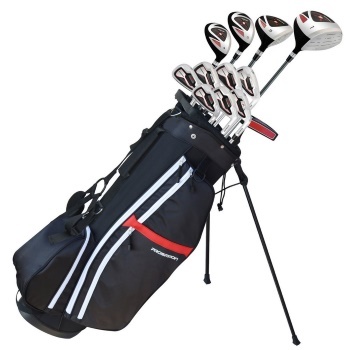 Here is another full golf club set, and it’s a great way to start off your collection. 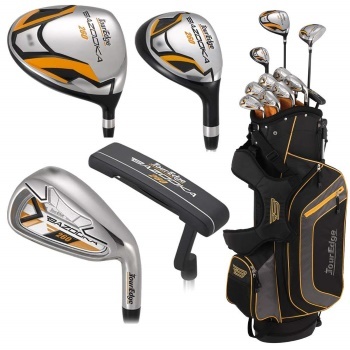 Of course, if you already have a few clubs, then this is unnecessary, but it is a great starter set that is priced fairly competitively and that should last you for a while. Prosimmon doesn’t make clubs on the high end of the scale, but these are practical and functional and excellent for newcomers to the game or those who are still unsure of their skill and needs. We say it is great for those unfamiliar with the game because each of the clubs in this set is designed to be forgiving. None of them are hard to play with, and that means that the control may not be stellar, but they feel great and work well, offering decent performance for what you are paying for them. The bag included, and it is made from durable materials as well, so you should get a lot of life out of this set. Please keep in mind that this set of clubs is designed for tall guys- those at least six feet tall. Not designed for experienced professionals. We have looked at some economical sets and clubs as well as ones geared toward guys, but this one goes the other direction and offers a high-end set of clubs, with a bag, all designed for women. That means the clubs are shorter and lighter, and made for a shorter person. They are also incredibly durable and built to last for a very long time. You will pay more for this set more than you would for much of the competition, but you are getting your money’s worth here. Drivers, putters, hybrids and more are all present, and you can get as much variety and diversity as you need from the clubs in this set. They can help you out of these tight spots, and you’ll find a club for every kind of shot you need to make. There are options in this set that offer incredible precision and accuracy, as well as those that help you achieve those long, straight shots far off on the other side of the green. You can play an entire course and have just what you need for every hole in this one set, so it’s a great investment for those serious players who know what they need and who are ready to play the game competitively and professionally. High quality product all around. Perfectly suited for the average female player. Offers every kind of club most games will call for. You can get both precision and distance with these clubs. Only made for experienced players. These are some of the best performing clubs you will find. Calloway is known for their superior product design and workmanship, and these clubs are no exception. They deliver unprecedented accuracy and drive distance, often helping people who switch to these from other clubs to achieve a distance of more than 20 yards over what they hit previously. There is a catch to these awesome clubs though. If you order them online, there is a chance that you will only get one club instead of a whole set, and you need to be prepared to deal with the manufacturer about this issue. Otherwise, it’s a stellar set that may be expensive, but is a high-quality product through and through. Manufacturer does not always deliver the full set. Verify before purchasing. You get a full set of 15 clubs with this product by Bazooka. These are designed to give you plenty of drive distance and some great accuracy. It comes with a lifetime warranty, which makes it a great value for the price. It is often sold for about half the price of Calloway and other high-end sets. It also includes all the putters, wedges, drivers and other clubs you need to have to hit every kind of stroke you’ll be faced with on the average golf course. This is a mid-range experience level set, designed for people who know the game a bit, who have played before and who have some understanding of how to use different clubs in different situations. Comes with everything you need to play. Designed for accuracy and distance. Not generally suitable for new players. This hybrid is a bit pricier than the average golf club, but that’s because you are paying for the quality craftsmanship that went into it. It comes with a head cover and a graphite shaft, and it serves as an excellent replacement for a 7 iron. If you have trouble hitting with an iron, then this a great alternative for most people. It has a comfortable grip and a lighter design to it than your average iron. 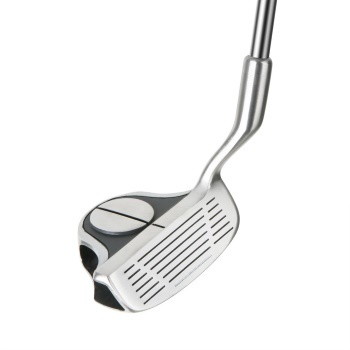 Pine Meadow also made this hybrid club to be relatively inexpensive as an option for left-handed people. Usually left-handed clubs are incredibly expensive, so this can offer southpaws a chance to golf with quality for a decent price. Niche option that won’t be suitable for every kind of stroke. This polished steel wedge is one of the top sellers these days. It’s a high-performance club that will last you for a long while, and it is made by the trusted Wilson brand. 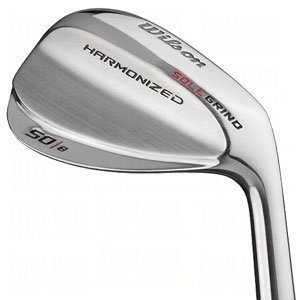 The wedge has a blade shape with bounce angles that have been modified for the standard wedge. This allows it to hit those tough balls on the sand and in other places that can be difficult to get a shot out of. 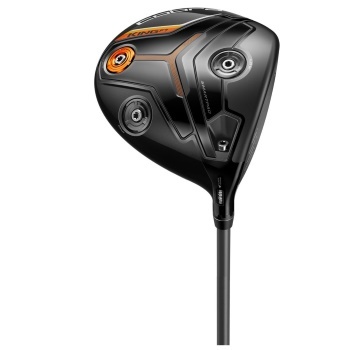 That makes it a very good all-around club and one we definitely recommend for this price point. It’s not the best wedge for hitting distance balls, and it will definitely work better for a short-range shot, but you can still use it about anywhere, as long as your handicap is less than 15. The grip on this club however, is somewhat feeble. It may not hold up to repeated use. The other components are all very solid and will last for a while before needing to be replaced. The chipper is just a fancy name for a club iron, but it tends to offer a bit more specialization than the standard iron. This one is designed to get you out of tough spots and help you make those precision shots that other clubs would not permit. 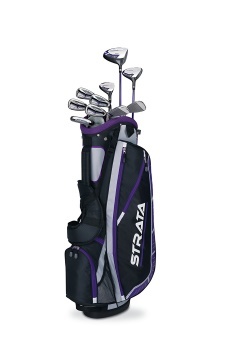 You can find similar clubs for a lot more, so this really is a great deal, especially since it is so reliable. Many chippers will give you inconsistent hits, and you won’t be able to trust their performance, but this one is made from fine materials and with excellent craftsmanship to ensure dependable hits each time. It includes an anti-glare design that keep the sun out of your eyes when you are looking down the club head when the sun is out. This is an ideal club for short chip shots, but you probably want to use something else for the longer chip shots. It’s not a one-size-fits-all kind of club, and you will need to use other chippers in certain situations, but this is a great one to start with if you just need a chipper for your collection of clubs. Affordably priced for a chipper. Excellent with those tough, near shots. May not help much with your distance game. 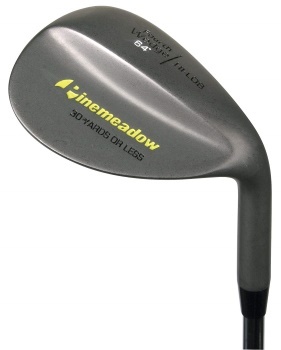 If you’d rather buy a single wedge, then you can’t go wrong with this one by Pine Meadow. It’s affordable and reasonably well made. It’s also available in a number of different options, so whatever your needs are, you can find what you are looking for you. This is a very durable wedge, and it should be able to stand up to a lot of wear and tear over repeated uses. It has a steel shaft that is designed for both new users and those who have a little experience under their belt. If you have already moved on from the amateur levels though, then you will want something else to hit with. 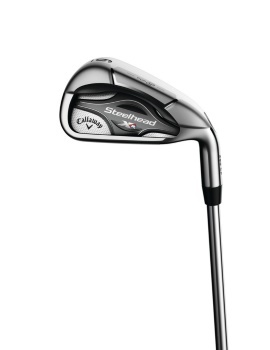 The performance is comparable with much more expensive wedges, but the shaft is really the only part that’s not going to give you problems over time. The grip may come apart or wear down rather quickly, and the wedge itself could come loose, so just know that you get what you pay for. The price is pretty great, but it’s priced that low for a reason. Some parts are not high quality. If you have the money to spare, then this is one of the best wedges you can buy. 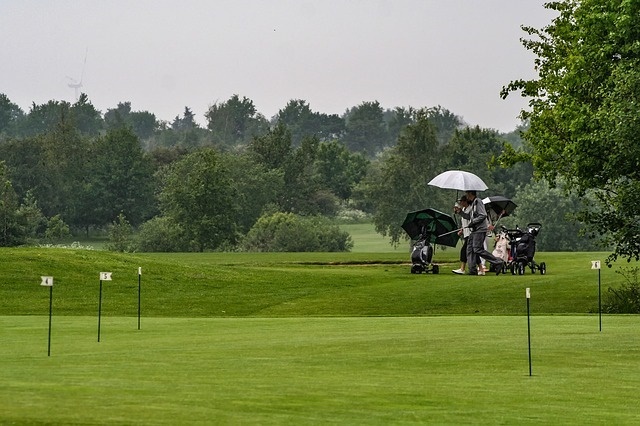 It’s a very high-quality club that is designed to hit even the trickiest shots in the roughest parts of the golf course, and that makes it ideal for semi-experienced to professional players. The newcomers will want to avoid this club, since it doesn’t have them in mind with the features it offers and its overall design. It can be tough to learn to use, but that learning curve is all worth it, as it is one of the best-performing wedges available, offering both precision control and great distance. The grind is incredibly versatile too, allowing you to experience trailing edge, heel and toe relief. The wedge is made to be slightly rough so that it can “grip” the ball and give the user unprecedented control and lower the spin for a straighter, farther shot. Great for tough shots other wedges can’t handle. Not suitable for novice players. The single piece of equipment that makes the biggest difference in your golfing game is the club. The club determines how the ball is hit, how much force you can put into your stroke, how much control you have over the ball and what kind of shots you can pull off. There are clubs that are good at short distance games, while others are better for long distance games. Others kinds of clubs allow you to make tricky shots or get out of rough situations. This is why professional golfers and those who have been golfing for a while will take a bag full of clubs. Each one is different and serves its own purpose, and you need to know when you should use each kind of club. Even the same kind of club can offer different strengths and features. There is a reason to purchase one brand of club over another, due to workmanship, style, length, weight and other factors. We’ll get into a lot of that here and help you figure out what kind of club you should get for your game. Use- Not every golf iron is used for the same purpose. There are drivers, hybrids, player wedges, mallet putters and more, each with their own function. Each club has its own strengths and weaknesses, so make sure you know what you are looking for and what its purpose is before you put down any money for it. You have to be especially careful when you buy clubs online, as you won’t be able to hold or see the item physically before buying them. Price- It’s normal to assume that the more expensive golf clubs are the best ones, but you could be mistaken there. Yes, you will have to pay for quality, but there are also some clubs that are priced higher than the level of value they provide. In other words, a high price tag is not always an indicator of value. Be sure to read the reviews and get a fair assessment of the product before you invest any cash, particularly if it is an expensive item. 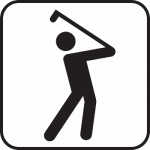 Conforms to the Rules- If you are going to be playing on a golf course with your own clubs, then you need to ensure that the clubs you use conform to the US Golf Association’s rules. There are specific requirements for golf clubs that extend to the length of the club, the shape of the wedge, the features the club has and more. 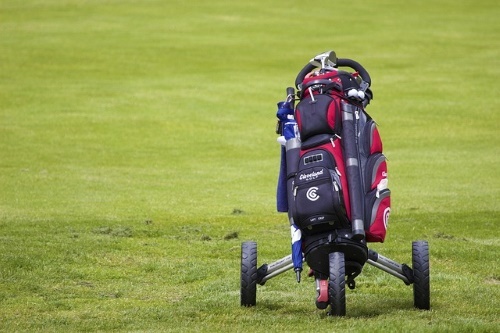 Make sure the clubs you purchase adhere to those rules, or you may not be allowed to play on the course. Start with Beginners- If you are new to the game, then it’s best if you start out with the beginner’s golf club sets. These are especially designed for people who are not used to holding a golf club and who are prone to make mistakes. These particular golf clubs give you some more leniency and allow you to have more fun with the sport than you would with something that’s a high-end product meant for professional players. Don’t feel dis-encouraged by having to choose the beginner option. Everybody has to start somewhere, and this is the right place for newbies. Sketchy Sellers- You have to be careful about who you buy your clubs from. If you buy from a brand that isn’t trusted or from another country where the standards may not be as high as they are locally, then you can end up with a club that is of low quality or that does not adhere to the USGA rules. That means that you could have paid your money for a club that you can’t use in any way. Most country clubs and other organizations that offer golf courses for you to play on will not let you do so with non-compliant golf clubs. Fragile Clubs- Some clubs look nice but don’t last very long. After a few course runs, they may begin to deform or lose some of their grip. Buying a low-quality club can put you in a tough spot, and you could be on the last hole when you make your swing, and the wedge goes flying into the air instead of hitting the ball. These kinds of things happen all the time, and you can avoid them by buying quality clubs. Lack of Diversity- Club diversity is important in golf, and you can’t just use the same club for every shot and expect a good outcome. Using a golf monitor is advised to help you determine how much distance you get out of each shot you make with various clubs. That can be a good way to determine when to use a specific club. If you think you will be able to make the various shots you need in any situation with a single club, you will find yourself woefully equipped. Poor Control- The grip your club is fitted with needs to be comfortable and secure. If not, then your hands can slip, and your stroke can go wild. Grips shouldn’t be invasive or distracting, but they should instead assist you in making those perfect shots. Look out for grips that get in the way or that are offering too many features, as they can throw you off. Ultimately, you need to try some golf clubs out for yourself and see how they perform. If you haven’t played much golf, then you don’t know yet what your style will be or what your strengths or weaknesses are. You can figure all that out once you get out there on the course and start using some clubs. Hopefully, our guide here will allow you to make a smart decision and not waste money on a club that doesn’t work for you. You need to be smart with your money and make the best choice for your situation, and it is our hope that this guide allows you to do that. Henri is the founder of wiredgolfers.com. He’s passionate about golf, cars, power tools and BJJ. When he’s not playing golf, he enjoys spending time with his wife and two sons and three cats.